Mortgages For Housing Association & Right To Buy. Access To Special Employed & Self Employed Plans & Rates. Good, Fair & Poor Credit File Considered. 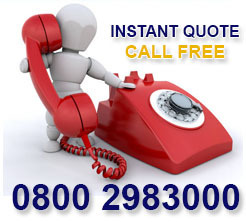 Free Personalised Quote With No Obligation To Proceed. Housing association right to buy discounts are in place to help consumers who are tenants buy their own home at a discount from their local authority or housing association. The fantastic discounts on offer can go a long way to help people realise their dream of home ownership and are a crucial helping hand in a time when it is increasingly difficult for first time buyers to save the necessary deposits required to buy a house. If you think you might be eligible to qualify for a discount and you are considering your options to buy a house then now could be the time to take action. 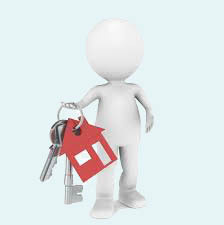 It is important to remember that buying a house is a significant financial decision that shouldn`t be taken lightly. 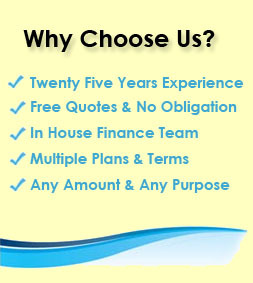 There are a number of things to consider, the responsibilities, costs and financial implications to name a few, which is why it is important to speak to someone who knows the mortgage field - First Choice have over 25 years experience in financial services have helped a multitude of housing association / right to buy customers get the discounts they deserve. Speak to a company who can arm you with the information you need to make the right decision. That being said, with some new bigger discounts on offer, now maybe a good time for you to consider the right to buy option for you. Call us on 0800 298 3000 free phone, or 0333 003 1505 mobile friendly alternatively enquire via no credit search on line enquiry form and one of our friendly advisers who can guide you through the entire housing association / right to buy mortgage process if you decide to go ahead. Homeownership can be a valuable asset for you and your family - Buying a property now can provide a roof over your head and for generations to come, and give you the peace of mind that you are able to help loved ones in the future. An END TO RENT - Yes that is correct. If you buy your housing association or council property with a mortgage at the end of the mortgage term the payments end (subject to you making them all of course) and the house is yours, no more rent or mortgage payments. A worthy goal for any of us. A property can be a great investment - As with any investment there are risks, however, if you own a property and house price rises your house will be worth more than when you bought it. First step on the property ladder - Making that first step onto the property ladder can often be considered a leap with the deposit sizes that need to be saved up. 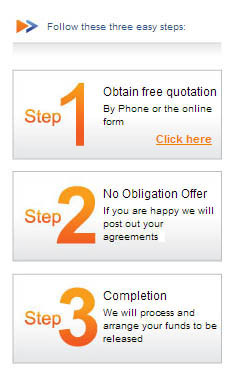 With the discounts offered this barrier can be taken away and can set you on your way to owner the house of your dreams. Flexibility to have the home you want - Once you own the home, you can change the property to your liking. Instead of having to ask your landlord if you can hang a shelf, you can decorate the property how you wish, to make it really feel like a home. The government recently pledged to extend the possibility of purchasing your social housing to even more people than ever before by essentially expanding the current right to buy scheme to include those people currently renting off a housing association. As of October 2015 the government settled on an agreement that this would apply to all housing associations on a voluntary basis. If your housing association does not agree to sell you your current property they are required to work with you and find another suitable property and you will still benefit from the same discount. This means that more and more people will be able to realise there dream of home ownership, benefiting from the larger discounts that the current right to buy scheme offers instead of the previous rules that normally faced housing association tenants with the right to acquire. The new rules mean that if you are housing association tenant wanting to benefit from a right to buy discount you should be able to do this from 2016. To get an idea of the mortgage rates that are be available to you, or for some friendly confidential advice on how to get yourself ready for being a homeowner and the mortgage costs involved contact us on the above numbers. Whether you are trying to buy your housing association house (previously done through the right to acquire scheme), or you are wanting to purchase your council house through the right to buy scheme your first port of call is to contact your current landlord, be it your local council or a housing association and clarify if you are eligible and what discount you might be entitled to. Armed with this information you can take the next steps. If you have the savings to purchase the property outright then you can get in contact with a solicitor and go from there. However, if like most people you are looking to use the fantastic housing association or right to buy discount as your deposit for the property then you need to arrange a mortgage to cover the shortfall. This can seem daunting as there are often so many products to research and it is difficult, without prior experience to know if you are even eligible for them. To save a considerable amount of time and often unnecessary stress it is best to get in contact with a knowledgeable broker who is an expert in mortgages of this type. 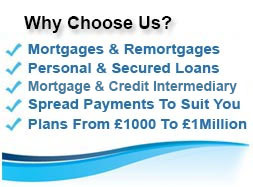 We have access to a number of mortgage lenders who will consider right to buy and housing association discounts to suit a wide range of scenarios and credit profiles, keeping you safe in the knowledge that if you are able to secure a mortgage we are likely going to be able to find it for you. To get over the biggest hurdle to purchase your home, contact the office now on 0800 298 3000 (free phone) 0333 003 1505 (mobile friendly) to receive a free quote from a friendly adviser and if you are happy to proceed on this basis, a decision in principle to see if you would be accepted with a lender. Increasing the number of people able to buy their home wasn`t the only change to the right to buy scheme. Along with this extension the government decided to increase the discounts on offer to people should you be eligible, essentially providing social housing tenants with an even better deal than before. Now could be an ideal time to buy your home, especially if you felt that in the past it might have been out of your reach. From the 6th April 2015 the top discount has been increased to £77,900 or £,£103,900 if you live in London. You also only have to have been a public sector tenant for three years, down from the previous requirement of five years in order to qualify for a discount on your property. If you have already been in touch with your housing association or local council and they have informed you of the discount you would be entitled to contact us on 0800 298 300 (free phone) or 0333 003 1505 (mobile friendly) so that we can give you a free quote based on how much your mortgage repayments might come to. To establish exactly what discount you might be entitled to you need to get in contact with the housing association or local council who act as your landlord. They will be able to give you an accurate estimate of your property value and what discount you might receive. This is important information but you also need to figure out if you are going to be able to afford the property you are planning on buying because it is a commitment you will have to make each month. The mortgage repayments can often work out cheaper than you might currently be paying on rent on a monthly basis, but as you are taking on a financial commitment it is important you will be able to meet these repayments for the whole of the mortgage term and this involves considering your future finances. To get an idea of how much your mortgage payments might end up at, head over to our repayment calculator and see what you might be faced with. If you would prefer to get a more accurate idea of mortgage repayments based on your individual housing association, right to buy discount, then fill in the 1 minute online application form at the top of the page and an adviser can get back to you with a free personalised quote.